Bison Sock is an 80% bison and 20% nylon yarn. All fibers are gathered from Montana ranches and milled in the US. It is perfect for knitting socks or baby booties, or soft caps! Bison sock has a hand-spun texture giving it a more organic look. Knitters really like the way it knits up. Every skein comes with a booklet of photos and text describing how the yarn came to be. 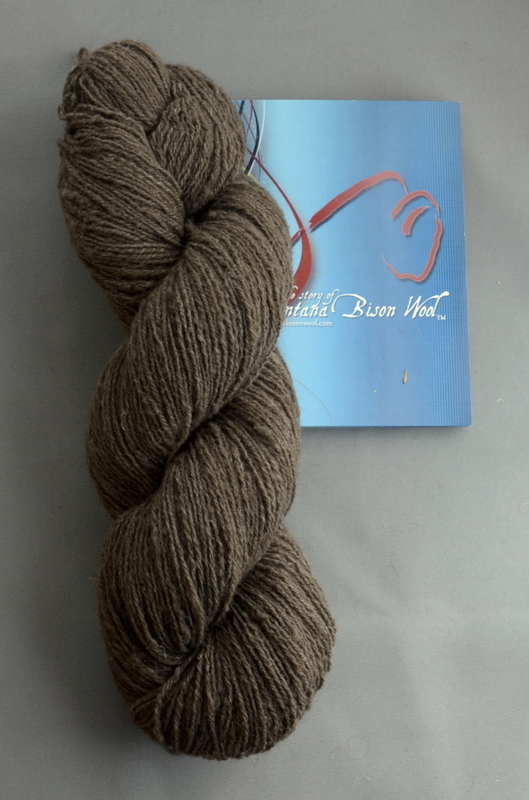 Each skein is: 3.5oz/100g: 2ply sport weight: mocha colored: approximately 365 yds.